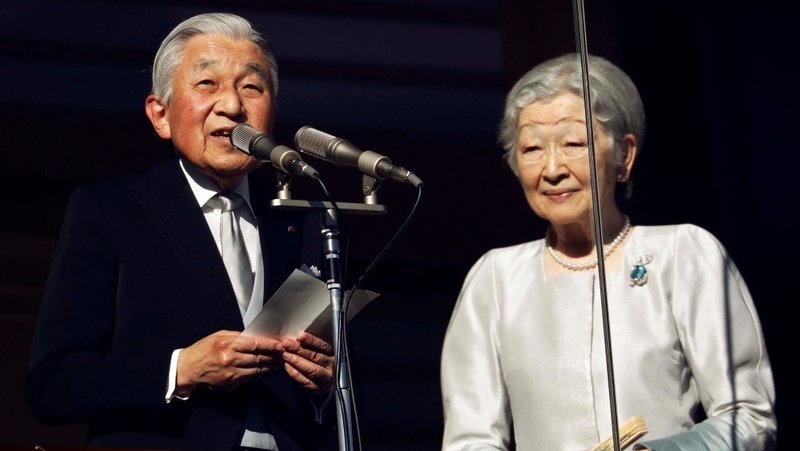 Japanese Emperor Akihito’s historic abdication later this month has reignited concerns over the future of what is believed to be one of the world’s oldest royal families, given its hereditary male-only succession rules. The fate of the Japanese imperial family rests on 12-year-old Hisahito, the son of Crown Prince Naruhito’s younger brother and the last eligible male heir. Japan’s centuries-old succession would be broken if Hisahito does not have a male child as the Imperial Household Law, in place since 1947, does not allow women to ascend the Chrysanthemum Throne. That means Naruhito’s only child, 17-year-old Princess Aiko, is not in line to inherit the throne. “I just wonder why Princess Aiko cannot ascend the throne,” Mizuho, a Tokyo resident in her 30s who only gave her first name, told AFP news agency. Under the current rules, female imperial family members also lose their royal status upon marriage to a commoner, a point highlighted by the engagement of one of Akihito’s granddaughters, Princess Mako, to her college sweetheart. When the parliament passed a one-off rule allowing the ageing emperor to step down in 2017, it also urged the government to “swiftly study” reforms that would allow the sons of royal women to become emperor. Politicians are dodging the looming issue of male-only succession because “they do not want to shoulder the responsibility”, according to Yuji Otabe, professor of Japanese history at Shizuoka University of Welfare. “If you think about the heredity system, a woman is also of imperial blood,” he said, voicing concerns about the future of the Japanese royal line if the situation does not change. The future emperor and empress were under huge pressure to have a boy but their only child – born in 2001 – was Princess Aiko. The “crisis” was averted when Prince Hisahito was born in 2006 to the Crown Prince’s younger brother Akishino, meaning the male blood line could continue. Hideto Tsuboi, professor of modern Japanese literature and history at the International Research Center for Japanese Studies, argued that Masako’s illness epitomises the difference between Japanese and British royals. Japanese imperial family members “do not enjoy normal human rights due to too much emphasis” on the male-blood lineage succession system compared to the British monarchy, said Tsuboi. Analyst Otabe also pointed to the “great pressure” on any woman marrying into the imperial family to bear a son. “Who would want to marry [Hisahito]?” he asked.